So I bough a VMA421 water pump. It only has a female DC connector which I intend to connect to a power supply. However, the connectors polarities are not specified anywhere. The only information is that “red is +, black is -” on the sticker on the side of the pump. Does anyone know which wire is connected to what in the DC connector itself? I’ve heard of nonstandard polarities which is why I don’t want to risk connecting it in a wrong way. The alternative I see is cutting off the connector and checking, but I would like to avoid doing that. 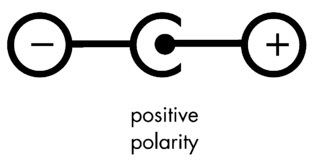 The polarisation for this water pump (VMA421) is Positive Polarity. See correct symbol picture below. An error occurred when creating the rating sticker for this product, regarding the symbol (polarisation power supply). This will be adjusted as soon as possible. Thank you for notifying us. Excellent! Thanks for a swift reply!